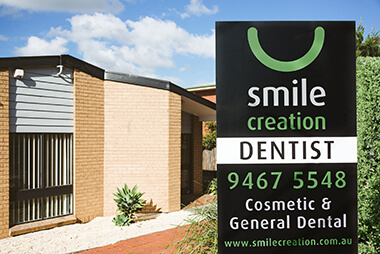 Smile Creation has been a part of the local community for over 15 years. Bundoora dentist Dr Sanjay Khanna took over in 2012 and offers general dentistry, cosmetic dentistry, orthodontics and more. With many services available, our team can help you reach your dental goals, whether you want to transform your smile or maintain the health of your teeth. We see many different people in our community, from young families with children to senior citizens from the Bundoora Extended Care Centre (BECC) located just across the street. With close proximity to RMIT University and La Trobe University, we also see many students. Contact us today to book your time or to learn more about our offering!